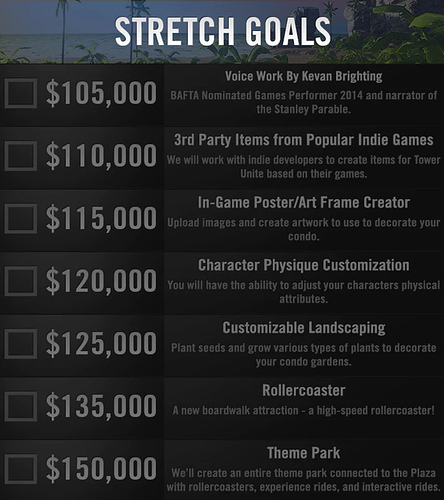 Regarding the kickstarter stretch goals - Questions - PixelTail Games - Creators of Tower Unite! Looking at these make me really sad. 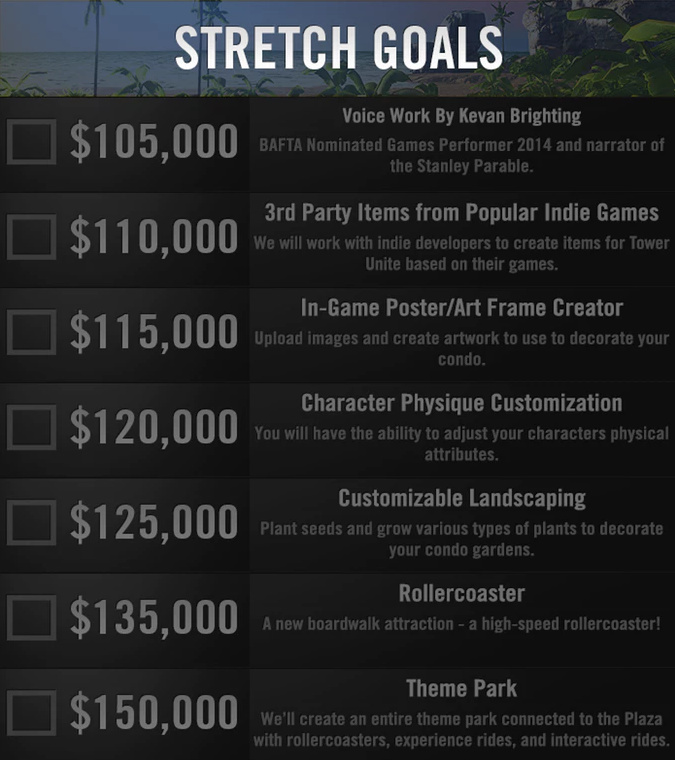 Its a massive shame the kickstarter didn’t get backed. Is there Any possibility that these could come out after early access release? We already got some of these. But I think the only ones I see out of the realm of possibility are the theme park and Kevan Brighting. We are possibly still getting that Kamikaze ride though. I really like the idea of 3rd party items coming in. Hopefully if the game gets bigger other games can see the perks of advertising their games with buyable items in game. Sorta like Ready Player One I guess.